David speaks from the Enlightened Mind. Visit https://acim.me to search audios by topic. 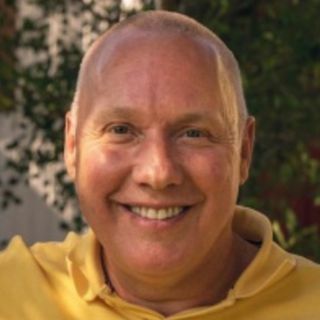 For more info about David Hoffmeister and A Course In Miracles (ACIM). Living in the Present Moment ∣ David Hoffmeister ∣ "This Moment Is Your Miracle"
Mystic David Hoffmeister is a living demonstration that peace is possible. His gentle demeanor and articulate, non-compromising expression are a gift to all. He is known for his ... See More practical application of the non-dual teachings necessary to experience a consistently peaceful state of mind. The purity of the message he shares points directly to the Source. Over the past 30 years, David has traveled to 41 countries across 6 continents to extend the message that Truth is available for everyone, now. David’s message speaks to all people, regardless of whether their background is religious, spiritual, or scientific. He is as comfortable delving into the metaphysics of modern-day movies as he is in pointing to the underlying meaning of the scriptures in the Bible. David’s own journey involved the study of many pathways, culminating in a deeply committed practical application of “A Course in Miracles,” of which he is a world-renowned teacher. His teachings have been translated into 12 languages, and taken into the hearts and minds of millions through the intimate style of his books, audios, and videos. David’s #1 Bestseller “Quantum Forgiveness: Physics, Meet Jesus” catapults the mind into a true and transcendent experience of Forgiveness, Now. “The Mystical Teachings of Jesus” is an inspired compilation of Bible verses and "A Course in Miracles" quotes to illuminate the mind! This spreaker show contains a selection of gems from David on all kinds of topics. These shorter talks may contain parables from the life of David and Spirit guided answers to heartfelt questions asked from participants at his gatherings. Listeners will benefit not only from the words uttered in these talks but also from the opportunity ... See More to rest the mind in the certainty and strength conveyed beyond the words. David's website (Foundation for the Awakening Mind) http://awakening-mind.org today offers a huge array of resources related to A Course in Miracles and the metaphysics of Christ. Spiritual truth-seekers can subscribe to David's Yahoo e-group, Awakeninginchrist, where for over 10 years David has answered the questions sent in to him from all over the world. This online group now serves as a global mailing list to announce foundation events and new resources as well as David's travel schedule. http://ACIM.mobi Audio files of David's 1990 teachings. David comparte sus ideas inspiradas por el Espíritu Santo para ayudar con la aplicación de las enseñanzas de Jesús en el libro Un Curso de Milagros (UCDM) | Visit http://un-curso-en-milagros.org para mas información sobre David Hoffmeister y UCDM. Sunday Services, movie gatherings, concerts, "satsings", spontaneous expressions of Joy and all other types of glorious gatherings from the rest of the Living Miracles community! Mystic David Hoffmeister is a living demonstration that peace is possible. His gentle demeanor and articulate, ... See More non-compromising expression are a gift to all. He is known for his practical application of the non-dual teachings necessary to experience a consistently peaceful state of mind. The purity of the message he shares points directly to the Source. Over the past 30 years, David has traveled to 41 countries across 6 continents to extend the message that Truth is available for everyone, now.